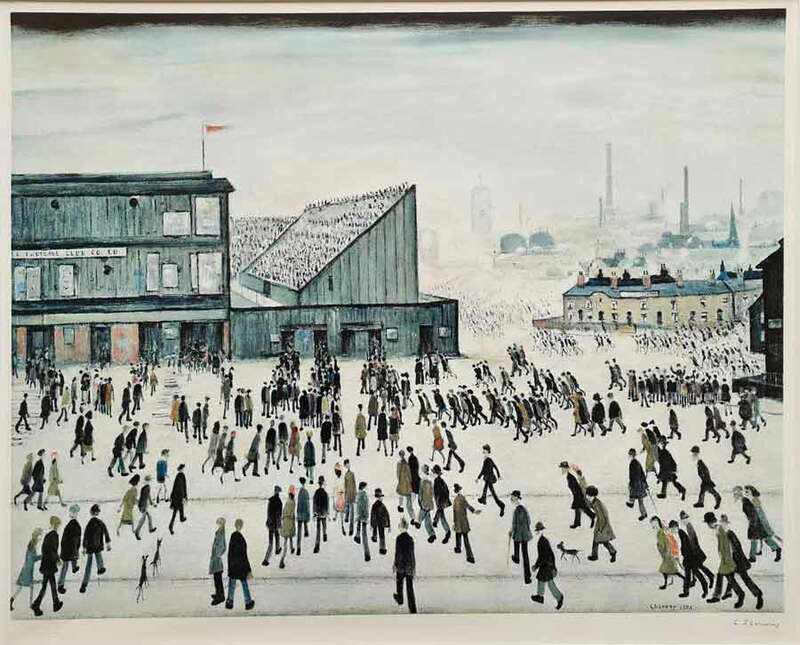 One of Lowry's most sought after signed, limited edition prints. 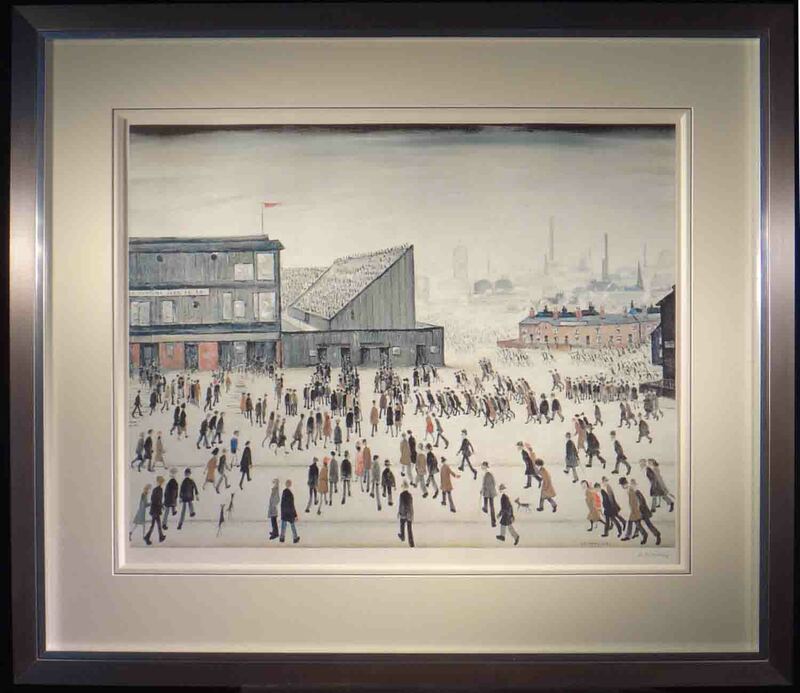 One of the many football subjects painted by Lowry, who was always keenly interested in sport: football and cricket in particular. "If I had shown things as they are-it would not have looked like a vision. So I had to make up symbols. With my figures also, of course." The picture therefore is not a picture of a particular football match but a vision of all football matches. Also the work of William Russell Flint whose paintings and signed prints are regsarded as some of the finest watercolours in the world. renowned for his beautifully fine watercolours of south France, he managed to achieve a subtelty that few artists have come close to achieving.